Eeli Tolvanen, an 18-year-old Olympic rookie, made a splashy debut with a goal and three assists as Finland beat Germany 5-2 to kick off Group C on Thursday. The Finns also enjoyed balanced scoring from their veterans. Sami Lepisto and Joonas Kemppainen had a goal and an assist apiece, and Mika Pyorala and Lasse Kukkonen also scored. Petri Kontiola added two assists. "I think today we played a good game," said Kukkonen. "Of course the young kid [Tolvanen] was awesome. He was leading the way, and it's always exciting to see new players coming up and taking the next step." Brooks Macek and Frank Hordler replied for Germany. Finnish goalie Mikko Koskinen, a 29-year-old veteran who has won two Worlds silver medals (2014, 2016) and two Gagarin Cups with SKA St. Petersburg, turned in a strong performance with 22 saves. Germany’s Danny aus den Birken made 15 saves. The Finns won bronze at the 2014 Olympics in Sochi, and own six medals from the last eight Olympics. 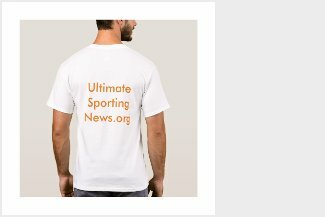 They have never won Olympic gold. Germany last appeared at the 2010 Olympics, finishing 11th, and hasn’t medaled since the Cold War era. West Germany claimed bronze in 1976. "All I care about is that we got the win tonight, and let's go forward," said Kukkonen. These two teams are both known for their nose-to-the-grindstone approach to hockey, but the Finns indubitably have a better nose for the net. On balance, they took care of business the way you'd expect, despite a bit of a third-period let-down. It didn’t take long for the Finns to get rolling at the Gangneung Hockey Centre. On their first power play, Lepisto’s rising howitzer from the center point eluded aus den Birken through traffic at 3:13. "The power plays were pretty good," said aus den Birken. 'They had a lot of traffic in front." Germany struck back 21 seconds into its first man advantage. Taking a feed from veteran ex-NHLer Christian Ehrhoff, Macek powered a slapper over Koskinen’s glove to tie it up at 8:44. It was the first German shot on goal. Finland went up 2-1 at 15:30 when Pyorala banged a rebound past aus den Birken in a crazy goalmouth scrum, The Germans struggled with turnovers throughout the game. "I think we played actually not that bad, we played actually pretty good," said aus den Birken. "I think just the Finnish guys were really skilled in front. The defence made little mistakes and the Finnish guys used the little mistakes." Halfway through the second period, Koskinen stood his ground on a German rush when David Wolf set up Gerrit Fauser for a great chance from the slot. Tolvanen gave Finland a two-goal lead with the man advantage at 17:22, accepting a short pass from Teemu Hartikainen and lifting a deadly wrister from the faceoff circle past the German netminder. Tolvanen, a top prospect of the Nashville Predators, became the youngest player to score a KHL hat trick with Jokerit Helsinki earlyier this season. At 18:43, the Finnish leadership group came through. Kukkonen, the captain, put the game out of reach when he took a pass from Petri Kontiola, an assistant captain, on the rush and beat aus den Birken high to the glove. It was the 36-year-old’s first Olympic goal in four Winter Games, and he hadn’t scored in IIHF competition since potting two goals at the 2006 Worlds in Latvia. Tolvanen praised Kukkonen: "I think he's a legend. I mean, he's our great captain. He's been to all of these tournaments, he's seen a lot, and I think he's a big help for me and all the young guys." In the third period, the Germans tried to fight back early on. At 1:51, they cut the deficit to 4-2 after Miro Heiskanen turned over the puck and Hordler’s shot went in off Atte Ohtamaa’s skate. At 12:48, Finland made it 5-2 on the power play thanks to Tolvanen's first primary assist of the afternoon. He skimmed a beautiful cross-ice feed to Kemppainen, who tipped it in at the crease. The Germans outshot Finland 9-3 in the third period, but Koskinen was impregnable. Next up, the Finns face Norway and Germany takes on Sweden on Friday. "To put this jersey on and be in the Olympics, I think it's every athlete's dream," Kukkonen said. 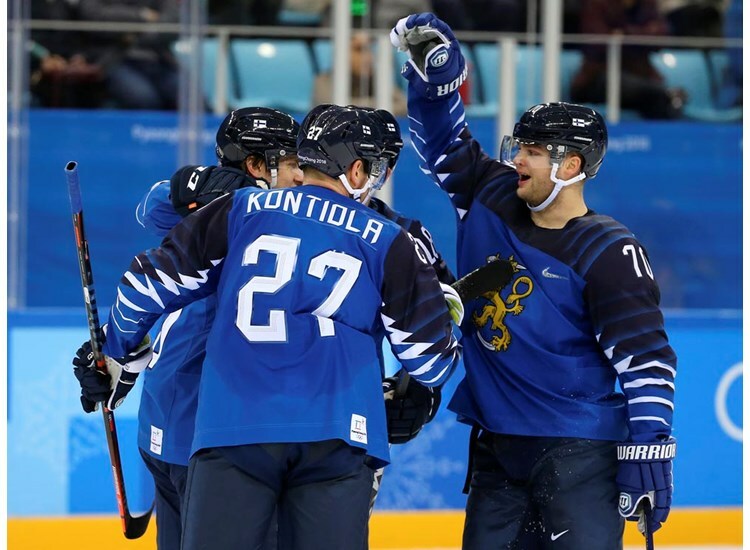 Finland has now won five straight Olympic meetings against Germany, dating back to 1992, and six all-time. The only two German wins over Finland were in 1960 (4-1) and 1964 (2-1).